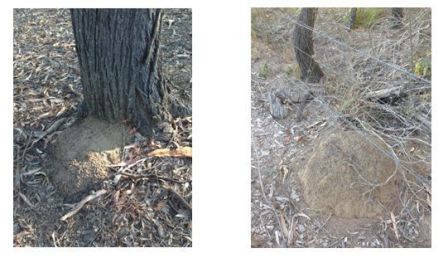 Michael says; I have 2 nests to confirm how to get rid of, the one on the fence line has been growing very very slowly over more than 4 years but the other at the base of a sheoak has come along quickly over the past 12 months. These mounds are the Microcerotermes or Micros and they are very common in your district, in fact much of SE Qld and the NCoast of NSW. Follow the advice in our How-to-Guide by thoroughly destroying the mound with a pick or crowbar. You don’t need to use insecticide. The ants, bird and lizards will get most of them but the rest will just dry out and die. You can easily check if you have done the job successfully: go back a couple of days later and if it is just the way you left it —job done! If there is some new mud in the hole where it would indicate repairs were under way —get the tools out again! 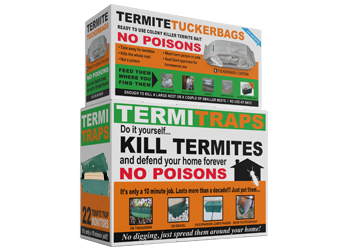 As the two main species of damaging termites are all over mainland Australia it is a good idea to place TermiteTraps around his house and other structures just in case they are sharing the territory with the micros. 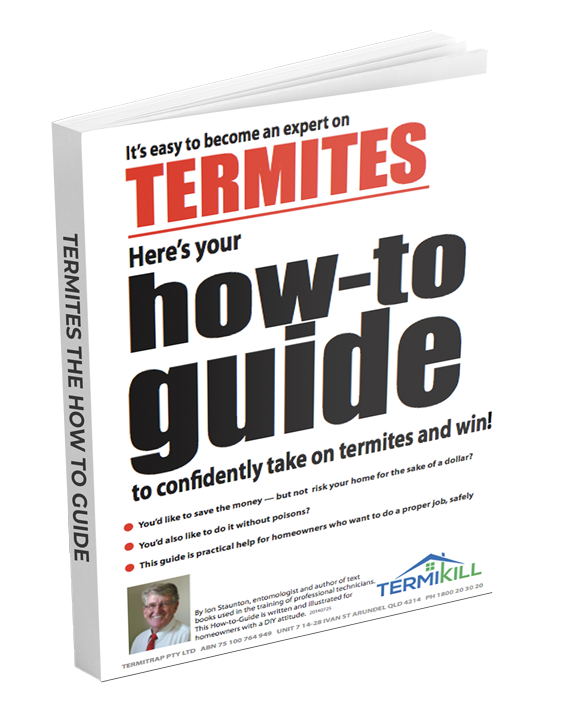 (I jest; there is no territorial agreement between termite species). 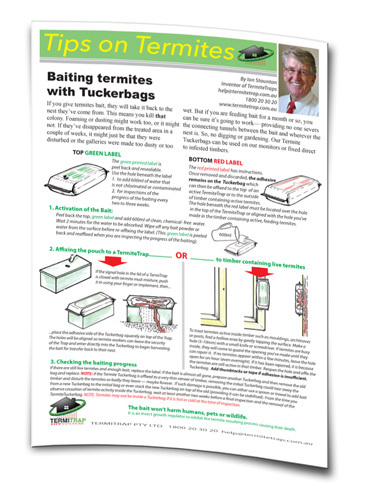 He also purchased a carton of traps but decided not to buy Bait until such time as he had serious ones to feed.